Kathy Katz, owner of the recently opened grab-and-go spot Cooper Street 20/20, told me that her spanakopita ($12) comes with a disclaimer. Once you try it, Katz said, "You are mine for life." 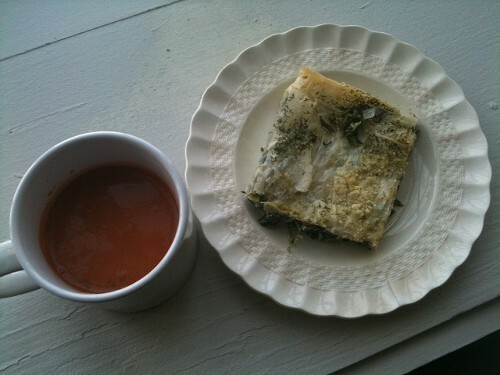 Katz' version sticks to the basics of the Greek classic ... filo, seasoned spinach, cheese. The dill on top is a nice touch. I paired this with the African peanut soup ($6 pint), which is rich and tomato-y with just a hint of heat. Cooper Street 20/20 is open weekdays, 8 a.m.-7 p.m.